Fans of the hit Starz series learned some news today about the fourth season of the series Black Sails. 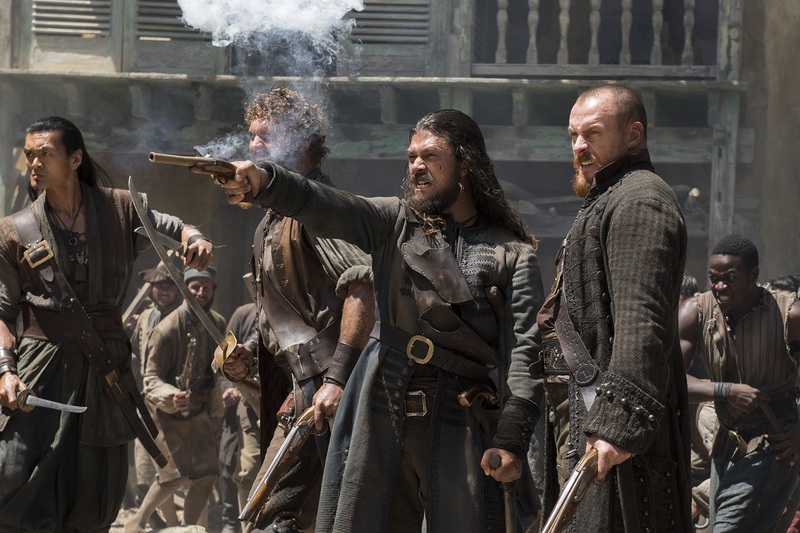 Starz announced today that the fourth season of the Emmy®-winning Original series Black Sails will bring fans to the heroic conclusion of the Treasure Island prequel. “Jon Steinberg and Robert Levine, along with their crew and the phenomenal cast, have delivered a spectacular take on the most legendary pirate story in literature, and this final season will bring us to the shores of Treasure Island as was always intended,” said Starz Managing Director Carmi Zlotnik. Black Sails takes place twenty years prior to Robert Louis Stevenson’s classic, and follows the most feared pirate of the day, Captain Flint, portrayed by Toby Stephens.